Ahoy, salty explorers! Teacher Patty and I are reporting from the night shift. 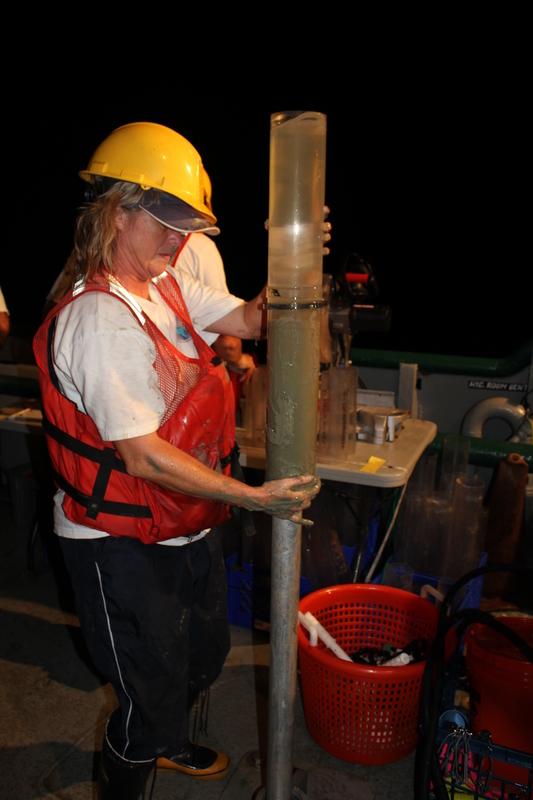 We worked with the geochemist (Dave Hollander, Patrick Schwing and David Hastings) to collect ~16 sediment cores. 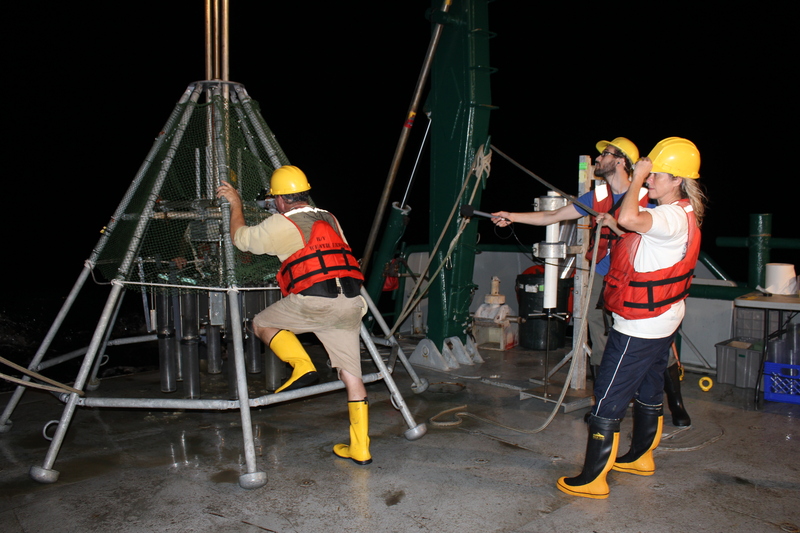 It did not take long before we were snapping coring bottles in place on the Lunar Lander (Multi-core sampler). After sediment samples were retrieved from the ocean floor the cores were transferred from the Lander to new core liners for future processing. This was definitely a wet and muddy job! 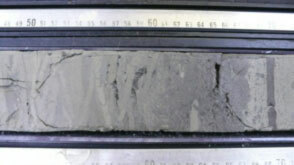 The sediment at 100 and 200 meters was well mixed and silty with a light brown color. One core from each location is split in two sections, photographed and visually described in more detail. 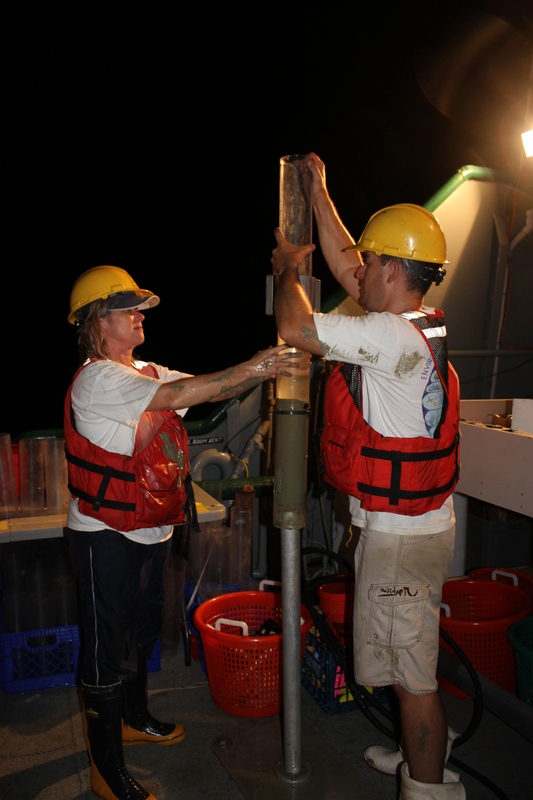 Here in the field we are collecting samples 24/7 and once we return to shore the lab work will begin to describe the sediment samples. 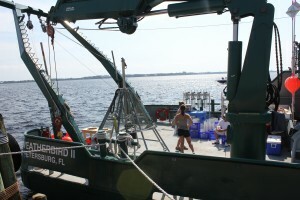 The scientific information that will be collected from shore includes age dating (short-lived isotopes, like Lead 210, Radium 234), benthic ecology (microfossils- forams), microbial ecology of bacteria/viruses, hydrocarbon chemistry and basic sedimentology and redox biochemistry . 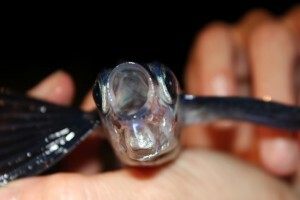 Some of the nighttime sightings included several dolphin chasing flying fish. 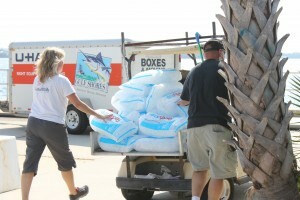 Sometimes the flying fish would land on the deck of the vessel and we would help return them to the water. 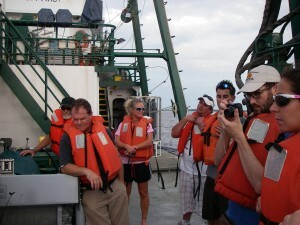 All in all an excellent first day at sea with the C-IMAGE scientist, students and Weatherbird II crew. Ahoy, fellow explorers. After a ~500 mile drive to Panama City, loading the vessel and setting sail just before we are now sailing 50 miles from shore to first sampling station. 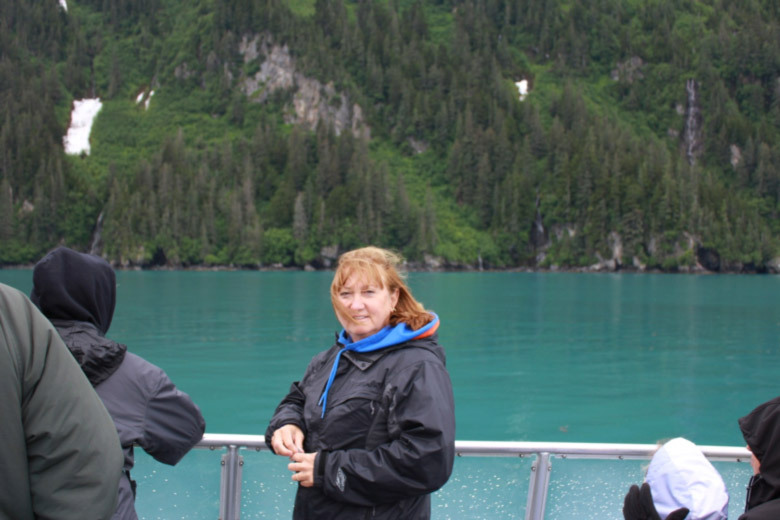 Whew, a full day of anticipation as Patty saw the Weatherbird II for the first time, met the 6 member WB II crew, and 13 members of the science party. 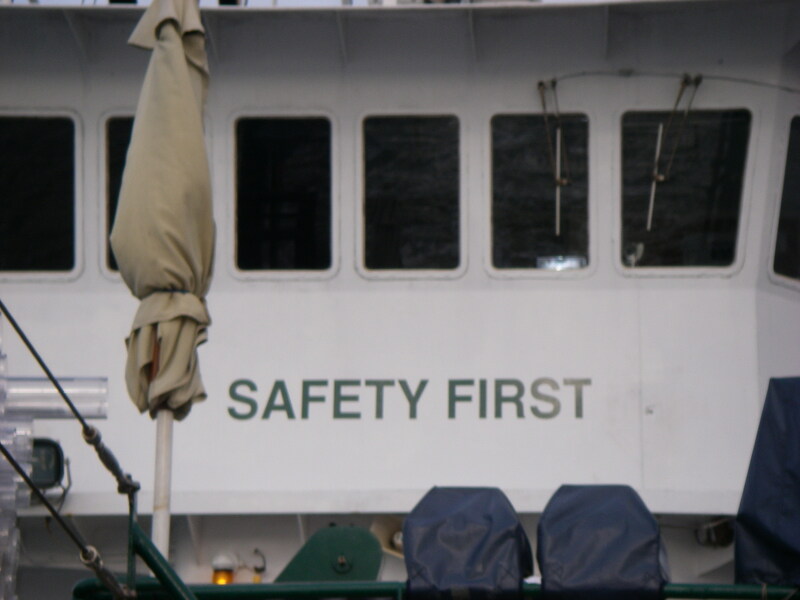 First things first… SAFETY DRILL. Patty’s first impressions… “this is not the Royal Caribbean!” and, “where is the chocolate fountain?” Seriously, it was really cool to see up close and personal the oceanic equipment that I teach my students about and soon I will see how it all works as we begin our first sampling at 11:30PM. Now that everything is loaded we have set sail. 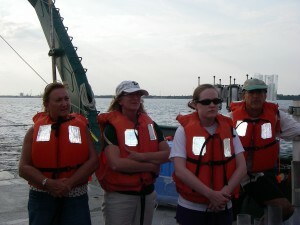 Meet some of the VIP’s aboard the expedition. 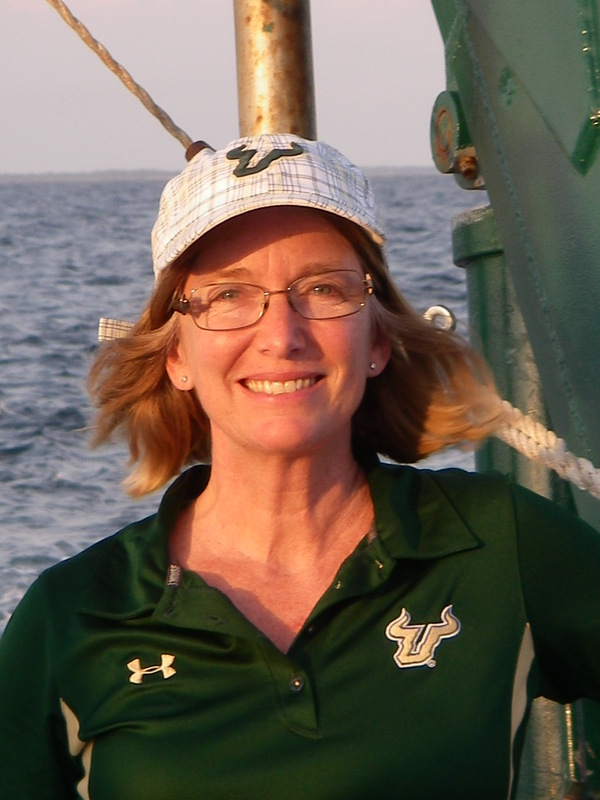 During this Adventure at Sea, your ‘cruise director’, Teresa Greely did not bring Rocky the USF Bull aboard but has the honor of sailing with the USF College of Marine Science’s Dean, Jacqueline Dixon and our C-IMAGE Teacher at Sea, Patty Smukall. 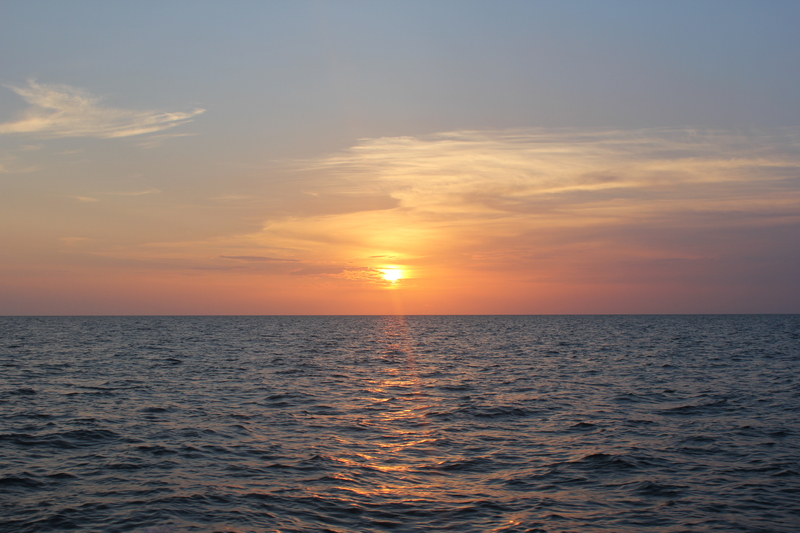 Keep sailing with us as we all prepare to work around the clock, 24/7 to gather as much scientific information as possible during our seven day Expedition in the Northern Gulf of Mexico. 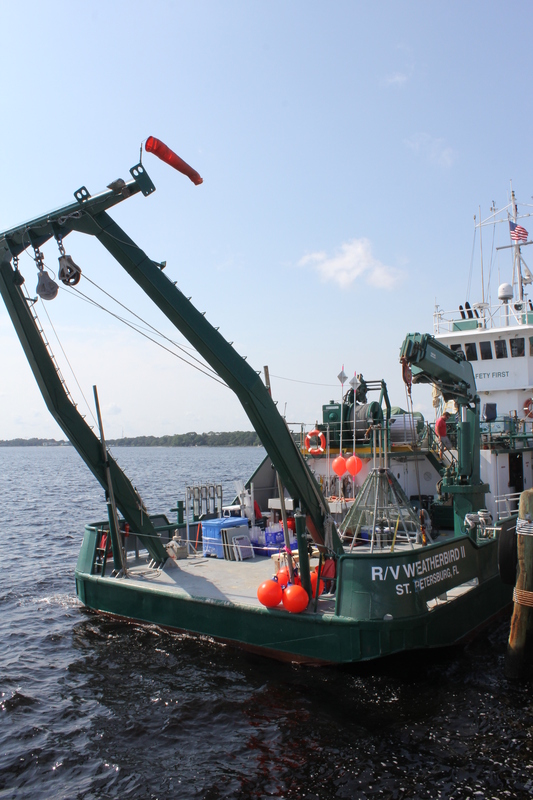 Coming soon, meet the scientist, students and crew aboard the WBII and discover how the samples of sediment and fishes are collected. 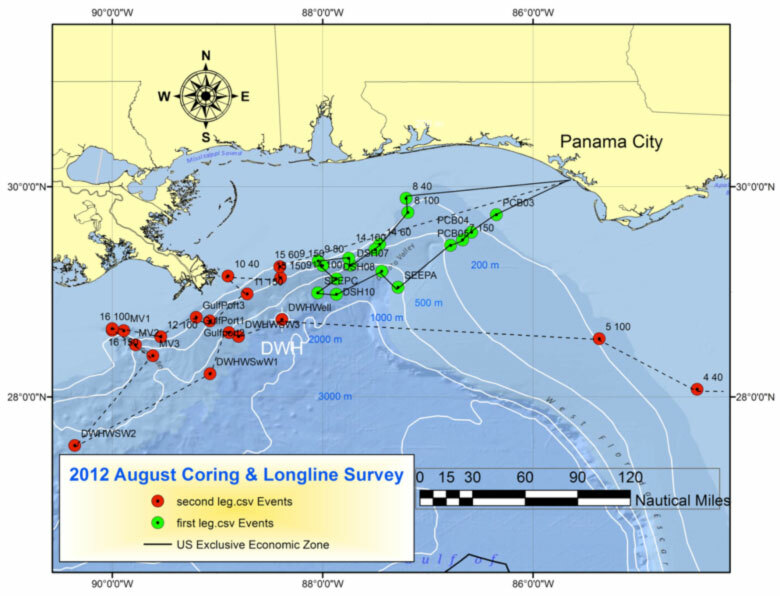 The goal of this cruise is to evaluate the extent of fish disease and to characterize the distribution and fate of oiled sediment at sites on the continental shelf and slope of the northern Gulf of Mexico Gulf of Mexico. 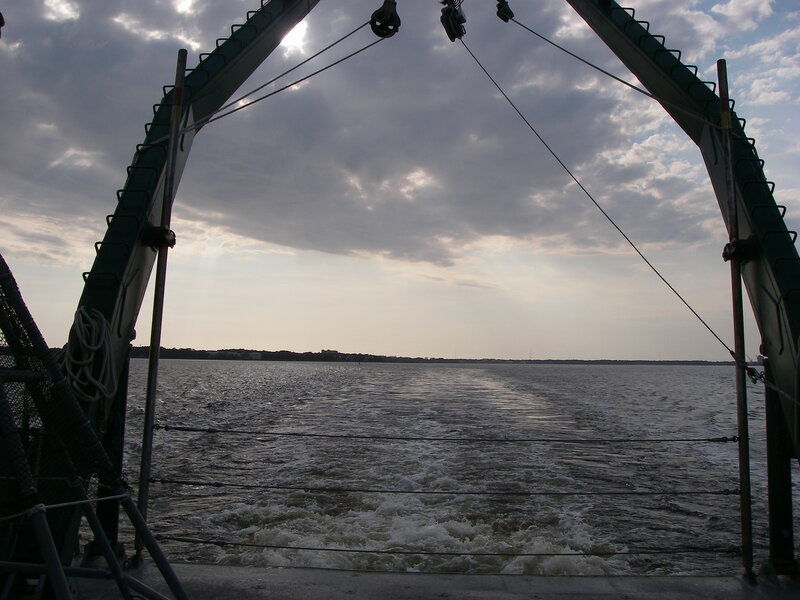 Sampling activity will include long-line fishing, sediment coring and water column hydrography. This post is by Michael Martinez, a USF graduate student aboard the JOIDES Resolution. This is amazing. 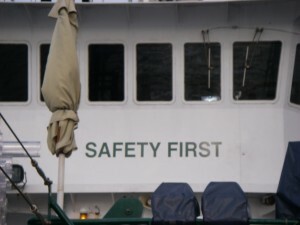 It is the third one I have seen so far in my whole life. First time was a long time ago on an island far-far away in middle school. This halo around the sun is made when you have cirrus clouds high in the atmosphere. 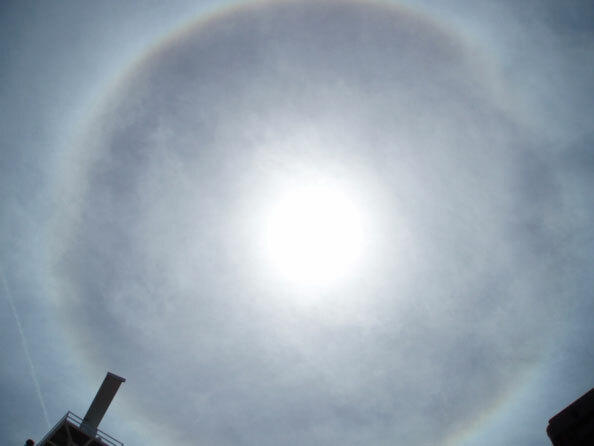 They will refract sunlight (or bend the light) forming this halo or “rainbow” around the sun. 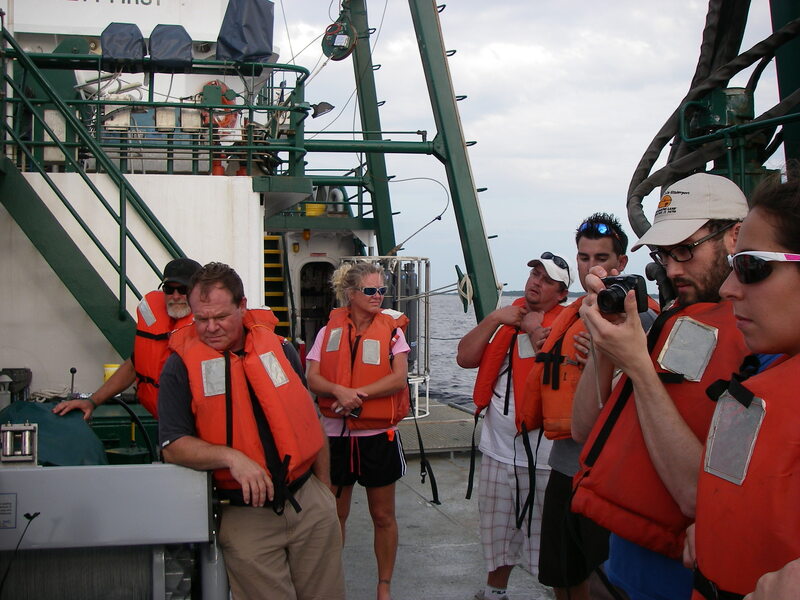 Readers please visit the expedition blog at http://joidesresolution.org/blog/281 for details about weekly science findings, people aboard, and other curiosities during Expedition 340.
nything but typical ‘science’ class. Why Submarine Sediments near Volcanic Islands? 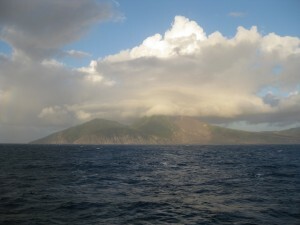 Island of Montserrat with active volcano Soufriere Hills in view. Photo credit Takeshi Saito. 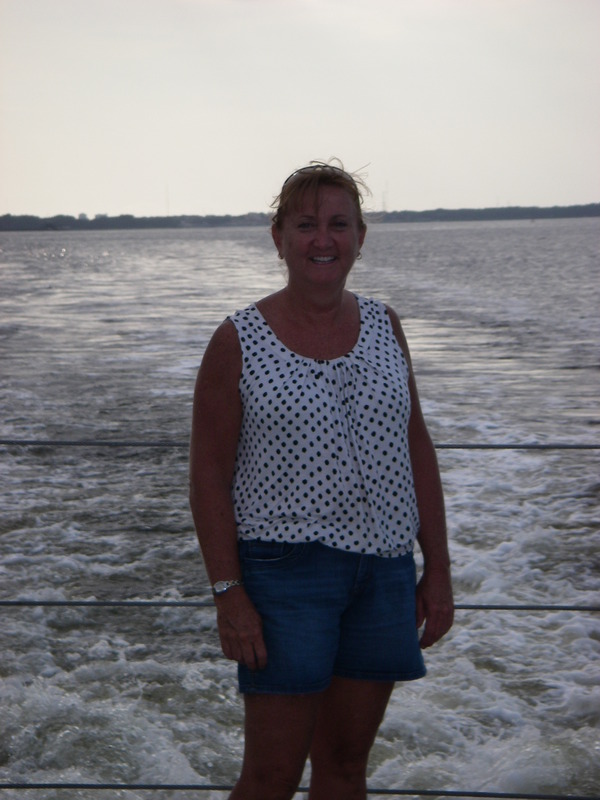 We are sailing in the Lesser Antilles or West Indies of the Caribbean Sea. 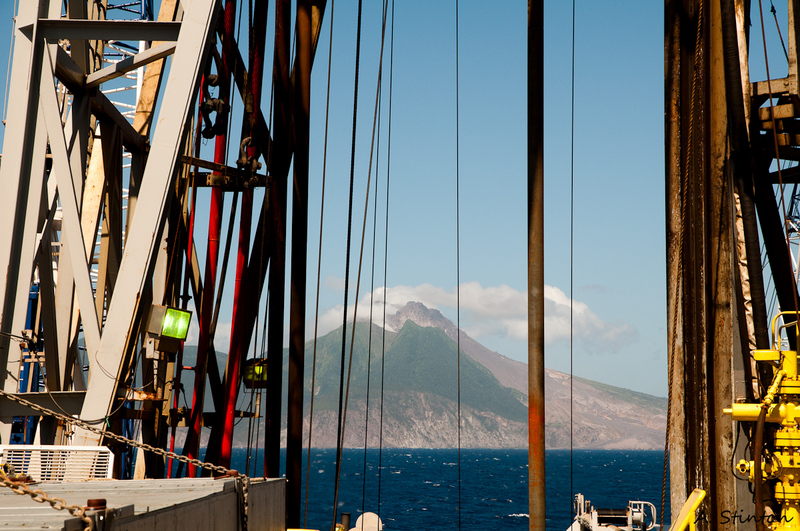 Scientists aboard the JR such as volcanologist, sedimentologist, inorganic geochemist, and micropaleontologist are at this location in the ocean because of the volcano on Montserrat, called the Soufriere Hills volcano. This is one of the best studied volcanoes on the planet. The eruptions began in 1995 and continue today. In 2003 the dome (top) of the volcano collapsed. 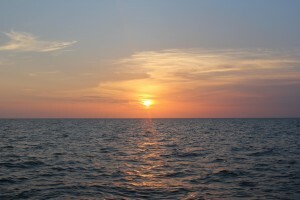 Scientists estimate that over 70% of the erupted material has washed into the adjacent ocean. 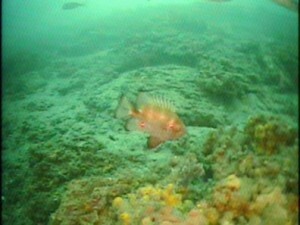 The surrounding seafloor was quickly covered with volcanic deposits. 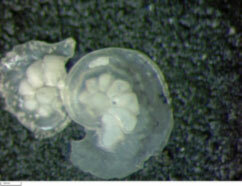 Since the 1995 eruptions the volcano has been under continuous surveillance. 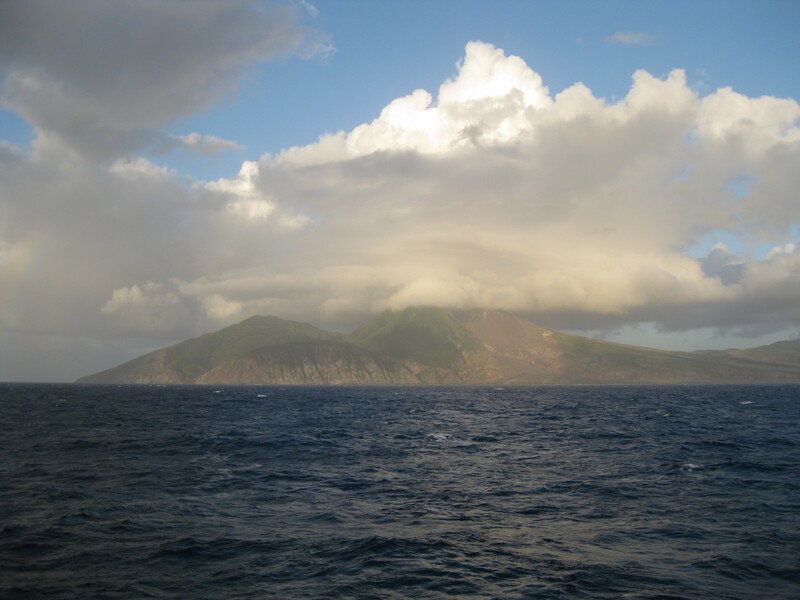 Both England and France have observatories on the island to measure and document the behavior of the volcano. In particular a detailed series of data before and after eruptive events has been compiled. 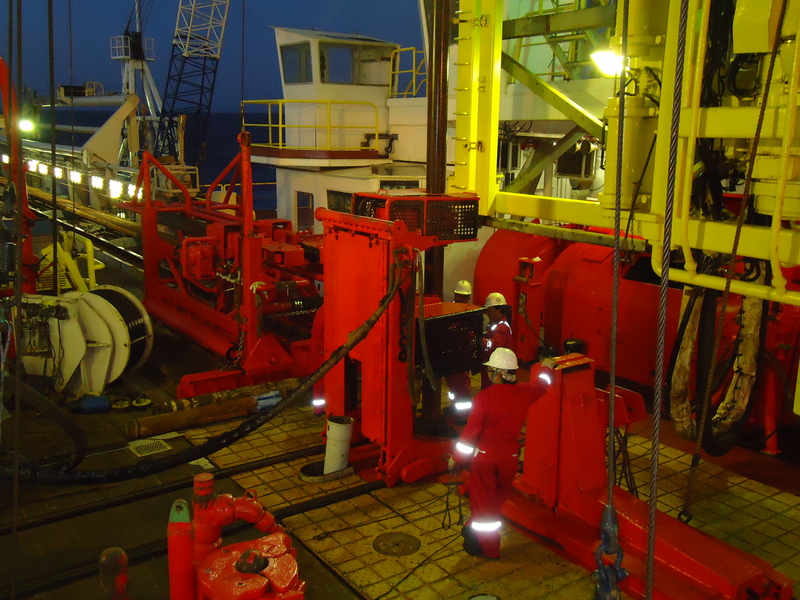 Scientists have generated lots of data from land-based measures and from submarine cores collected to depths of about 6 meters in the seafloor. 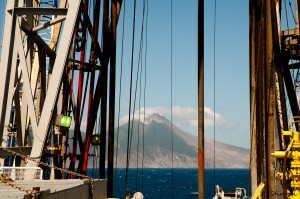 This means that Montserrat is one of the best studied volcanoes on the planet! ago, maybe even longer. 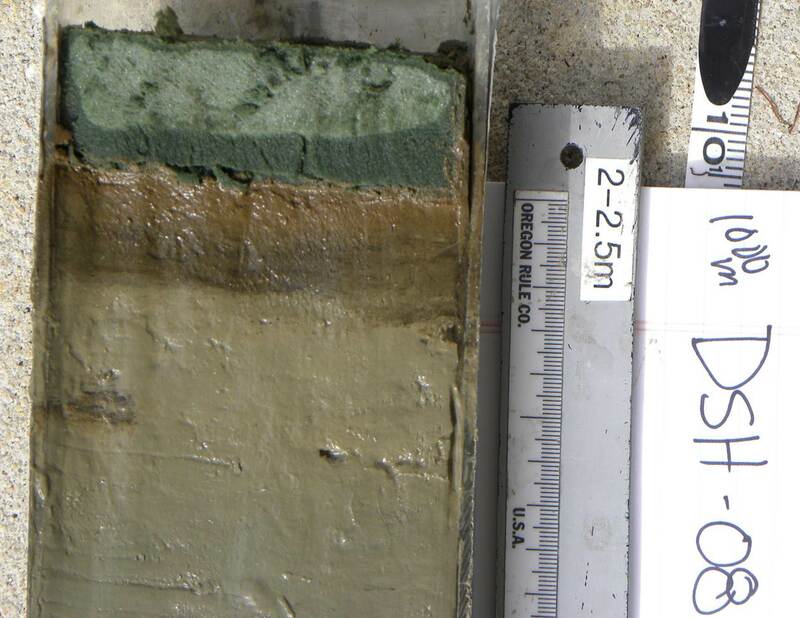 A major question for Expedition 340 is to explore what happens when the majority of volcanic material (pyroclastics) extruded from magma, flows into the ocean? 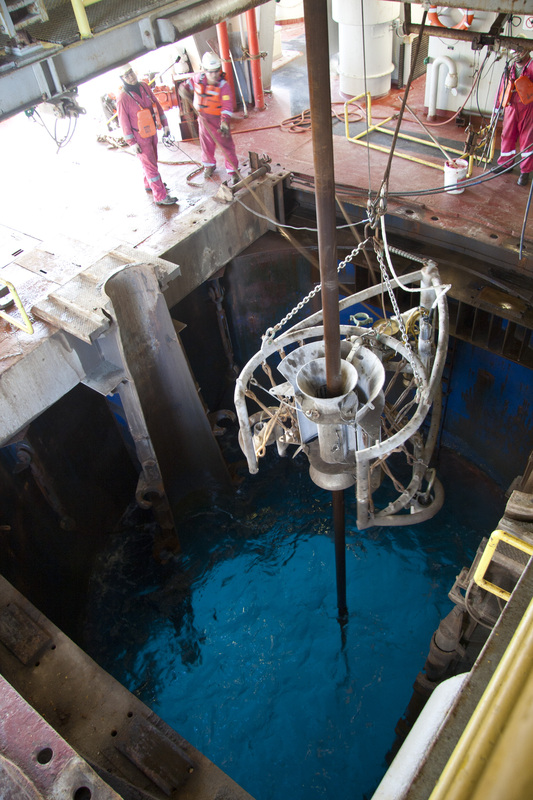 Now for the first time with the technology and brawn of the JOIDES Resolution we can obtain cores from deeper in the seafloor, thus on longer time scales than previously known. 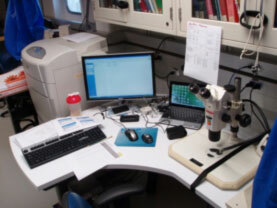 The 340 expedition is going back in geologic time to gather data about the long-term history of the volcano over the past million years. 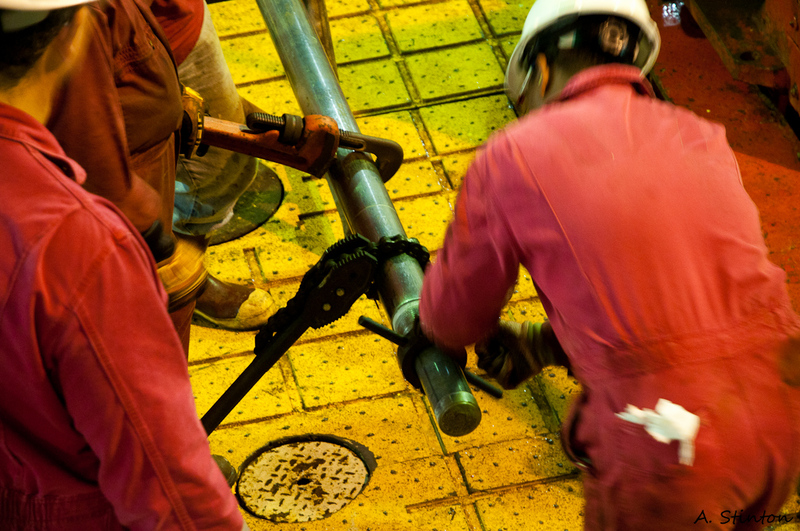 This task can only be accomplished through scientific ocean drilling. The data from Expedition 340 will help scientists around the world better understand the modern day events occurring in the Lesser Antilles island arc, in particular the potential for future hazards such as eruptions and tsunamis. By retrieving ocean based cores we are sampling the geologic archive that lies beneath the seafloor. Today, lil’ Rocky the Bull (VIP Aboard the JR) and I visited the moon pool. This is one of the coolest places on the Jr. 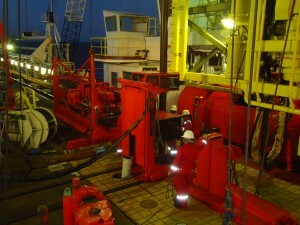 It is located below the drill floor a deck below where my office is located on the Foc’sle Deck (Forecastle or F Deck). A hard hat and safety glasses are required, ear plugs are suggested too. 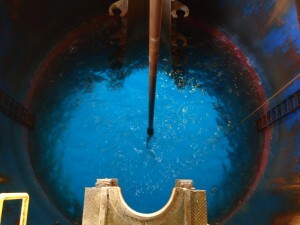 What is the moon pool? 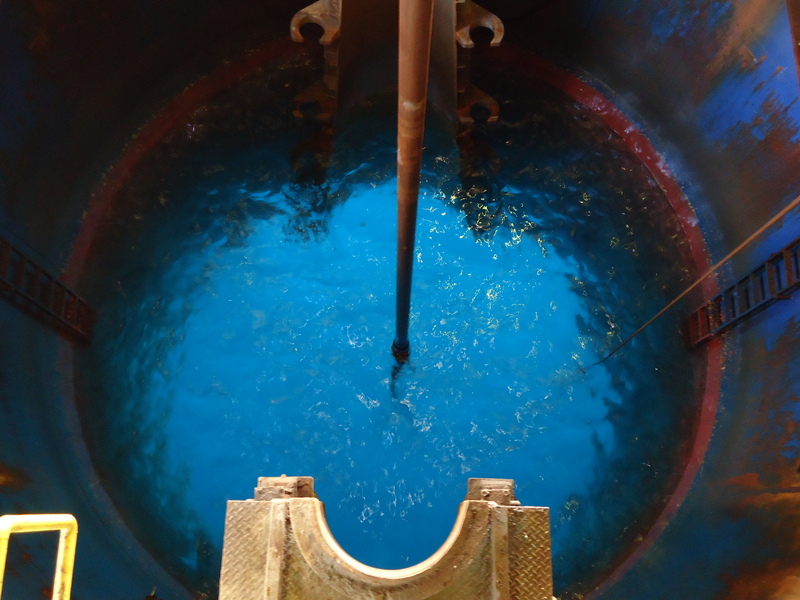 The moon pool is a 7 meter opening in the main deck of the ship, giving access to the water below, allowing technicians or researchers to lower tools and instruments into the sea. The drill string is lowered from an opening in the drill floor through the moon pool to the seafloor. Hope you enjoy these photos as much as I enjoyed my visit.